People used to throw scraps of food at her — but she just got the BEST new life. 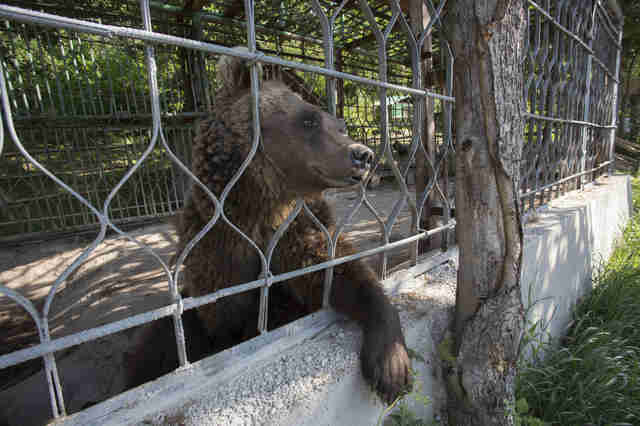 For 15 long years, a brown bear named Achon was locked up in a metal cage. She had no regular access to food or water and no protection from sun or rain. The only things she did have were boredom and misery. 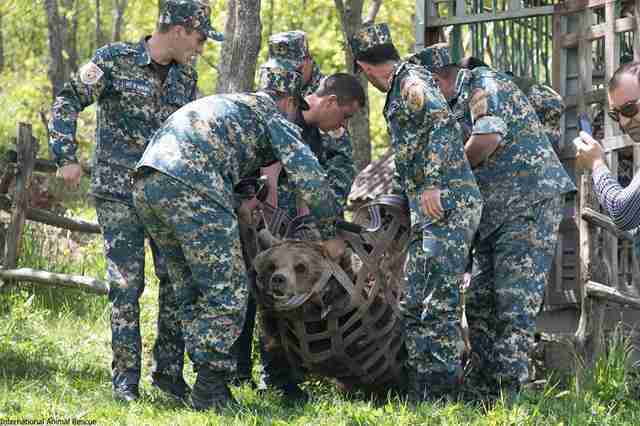 Achon’s cage was on the grounds of a holiday resort in Tsaghkadzor, Armenia. Her “owner” kept her there to entertain visitors, who would toss her bits of food when they passed by. 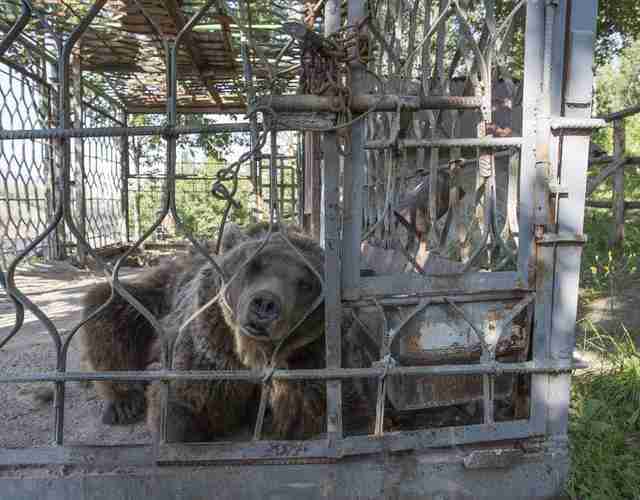 Last October, IAR and the Foundation for the Preservation of Wildlife and Cultural Assets (FPWC) launched a campaign called the Great Bear Rescue Project, which aims to free over 80 bears living in captivity throughout Armenia. 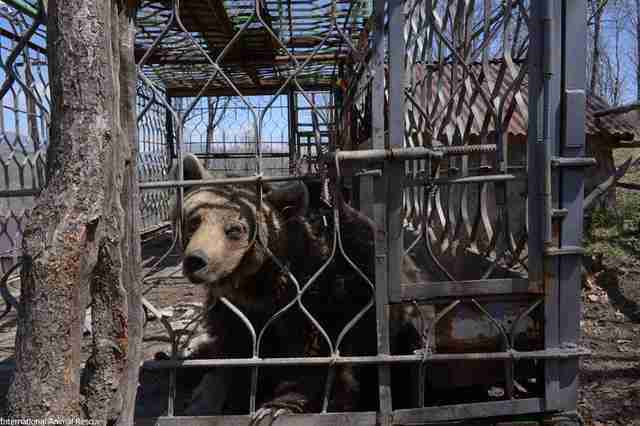 Like Achon, many bears are trapped in cages at tourist spots, while others are displayed at restaurants or locked away in dark warehouses. Achon was one of the first bears whom IAR and FPWC identified as a candidate for rescue — but when the teams approached Achon’s owner, he refused to surrender her. Not long after this, Achon managed to escape from her cage, although it’s not clear how she did this. By the time IAR and FPWC found out, Achon had already been recaptured and locked back inside her metal prison. 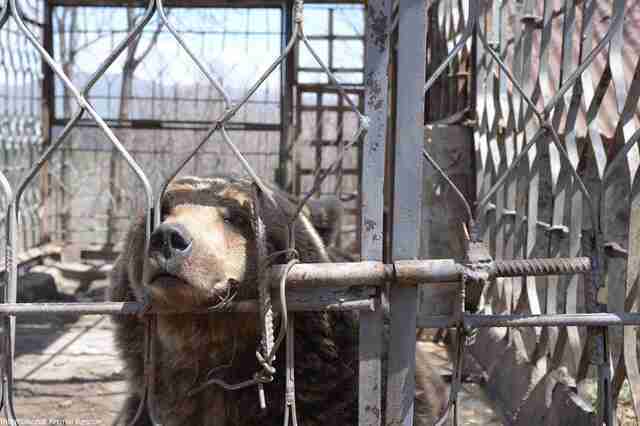 But last week, things finally changed for Achon — her owner agreed to surrender her. 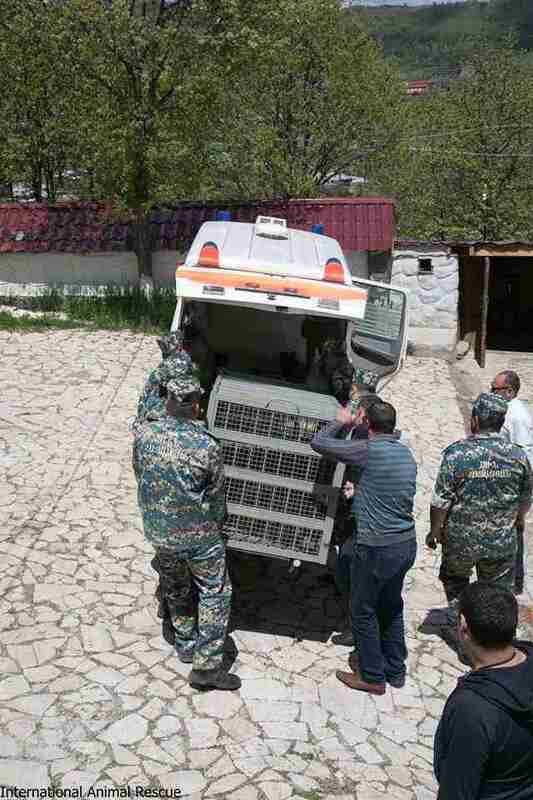 Achon, whose name means “girl with beautiful eyes” in Armenian, was sedated, gently carried out of her cage and loaded into a transport vehicle. Key said this rescue was a “very emotional one” for everyone involved, and it was a huge relief to finally release Achon from the cage where she spent 15 years. To help Achon recover from her years in captivity, you can make a donation to IAR.